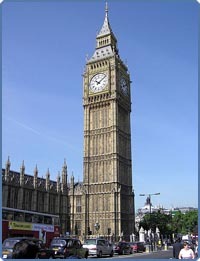 Big Ben is located at the northern end of the Palace of Westminster and is a world famous clock tower. In actual fact, 'Big Ben', is the nickname for the great bell of the clock that can be heard chiming throughout the day. In 2009 Big Ben celebrated it's 150th anniversary and it remains the largest four-faced chiming clock and the third-tallest free-standing clock tower in the world. Insider Tip: For great photo opportunities take a ride on the London Eye or head for Westminster Bridge. The best Big Ben Tube is Westminster. Londoners are very affectionate of this great London landmark and can often be seen going about thier daily business and checking thier personal wrist watches are in sync with Big Ben. 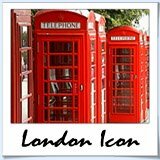 The vast majority of London City Tours will feature Big Ben in some form whether it me a simple mention or some more detailed facts and history. Unfortunately only residents of London can take a tour of Big Ben (the waiting list is over 6 months!) so there is no real need to plan ahead to visit. 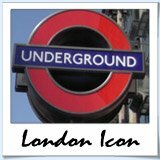 Because of it's central location you'll find that you cross path numerous times with the great clock and have many opportunity to admire the grand ol staple of the London skyline.